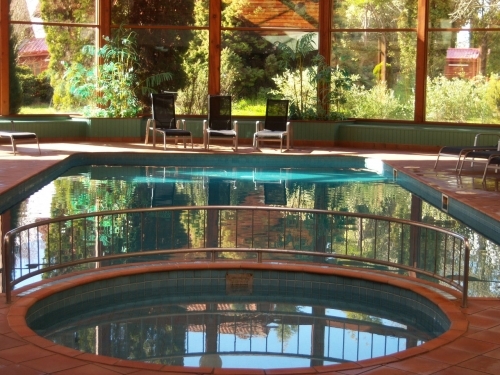 Aspect Tamar Valley Resort is perfectly located about 10 minutes drive north of the Launceston CBD and is a true Jewel in the crown of this breathtaking region. 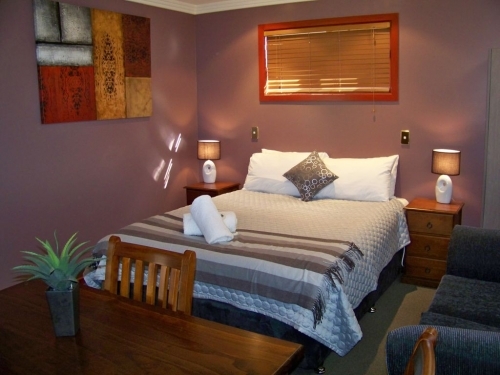 Aspect Tamar Valley Resort is ideally positioned to use as a base whilst exploring all that Northern Tasmania has to offer. Check In is available 24 hours per day via our Express Check In Desk. Full Room Service is also available to 8pm each evening, should you choose to enjoy private in room dining. The Resort's World Class Par 54 Mini Golf course Putt It is peppered with many water features, bridges, extensive landscaping and building architecture that depicts an authentic European Turn of the Century Lakeside Village. 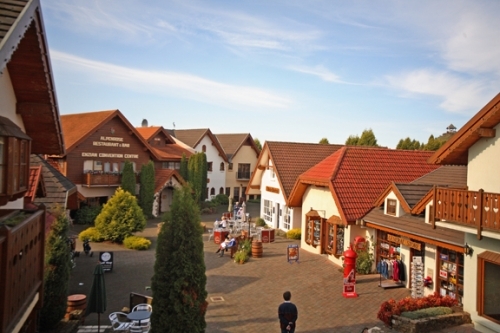 The World Famous Grindelwald Swiss Shopping Village is located on the grounds at Aspect Tamar Valley Resort and is open to the public every day of the week from 9am. Here you will find local arts, craft shops, souvenir shops, chocolate shop, ice creamery, village bakery, news agency, general store, electronic games arcade, golf shop & much more. The resort has a total of 97 Suites, Family Chalets, Lake View Villas, Village Apartments, Golf Side Spa Villas and the never to be repeated Waterfront King Spa Villas. 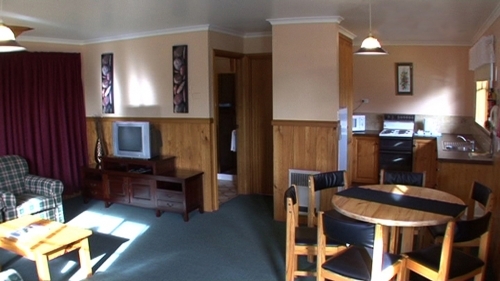 With over 20 very unique and special room types on offer Aspect Tamar Valley Resort is sure to easily accommodate any type of business, leisure, family, local or large group travellers comfortably. All rooms at the Resort have the latest Cinema "Big Name Blockbuster Movies" playing throughout the day & night for FREE. That's right for FREE all the latest cinema hits in all room types at the property for FREE 24hours per day along with 5 free to air channels and UNLIMITED AUSTAR with eight dedicated movie, sports and business channels. There is also a special 24 hour Kids "NICKELODEON" entertainment selection in all rooms. Aspect Tamar Valley Resort has reliable High Speed Broadband connections in all of the Elegant and Stylish Hotel Suites, with High Speed Wireless Hot Spots in all common, dining areas and all 8 conference venues around the resort. The elegant Hotel Suites, Boutique Studio Chalets and Villas have their own in room Air conditioning, DVD & CD players along with individual electronic room safes. All Villas are brand new and offer modern conveniences including flat screen 51 cm TV, Air conditioning, Mini Kitchenettes for basic meal preparation, DVD / CD, MP4 Players, electronic safes. Most have romantic In Room Therapeutic & Relaxing Heated Double Spa Baths and are set either Golf Side or on a private absolute Lakeside Waterfront location. All Self Rated 4 Star, 2 Bedroom Chalets are selectively scattered amongst the resort grounds enjoying either magnificent Lake, Mountain or Golf Course views whilst offering a homely comfortable atmosphere. 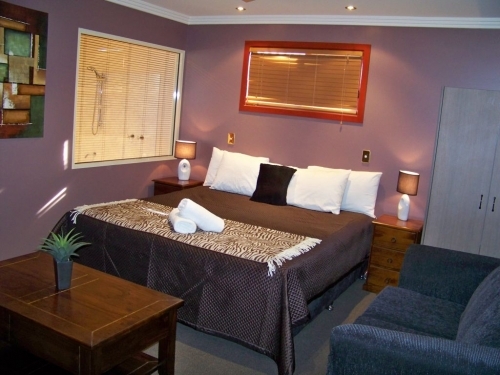 All Daily Room Rates are for 2 Persons unless otherwise mentioned. Extra Persons over 12 years using existing bedding are an Additional $25 per night. Children over 2 years up to 12 years using existing bedding are an Additional $15 per night. Infant Cots as required are an additional $10 per night. If Rollaway Beds are requested for guests of any age in addition to the Existing Bedding already provided in the room an additional $50 per night for each Rollaway Bed will apply. All Hotel Suites are Serviced Daily. All Chalets, Villas and Apartments are Serviced on a Weekly basis. Our popular Lakeside Restaurant & Authentic Timber themed Bar with original big brass multi beer fonts are located in the Lakeside shopping Village. The Lakeside Restaurant serves buffet breakfast's along with lunch & dinner every day. There is even a special menu just for children. You can dine whilst overlooking Lake Serene, the magnificent golf course or the delightful Swiss shopping Village. When at the resort why not try a round of golf at our public par 36 course & get some tips from our dedicated golf shop enthusiast's. 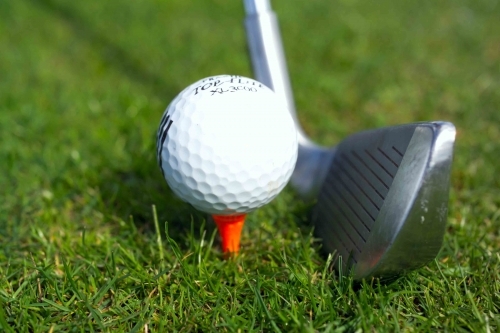 All golf equipment can be hired or purchased from the on-site Lakeside golf shop which has dedicated golfing staff on hand to assist. Day visitors are most welcome to play a round on our public golf course. You can feed the Rainbow Trout along with the Ducks and Swans who have chosen to make the numerous Lakes at the resort home. Hire a canoe, paddle boat, pedal jet ski and take a ride out on the main Lake and get a duck's-eye view of the magnificent estate style grounds. 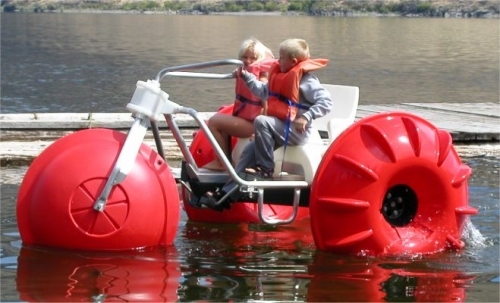 Aspect Tamar Valley Resort is also proud to boast Tasmania's largest Lakeside Bouncing Cushion. The enjoyment that this attraction creates for all ages is sure to impress(Parents must supervise their own children at all times when using the junpimg pillow.) For the young at heart why not hire a Pedal Go Cart or Mountain Bike for a few hours to explore the Resort's facilities and surrounds. If you prefer a game of Tennis. There are two floodlit full size courts available for both day & night tennis. There is also a huge childs playground with climbing frame, swings, sandpit and a sensational pirate ship. Kids & adults may also like to visit our on-site electronic GAMES ARCADE with over 15 specialty games and amusement machines, this attraction at the Resort is guaranteed to provide endless hours of pure Holiday fun for all. For those feeling a little more energetic why not take a brisk walk to the top of the resorts Tamar Horn look out, once at the top you will be able to see the whole of the Tamar Valley region and the beautiful Tamar River. From this prime vantage point Jaw Dropping views extend far beyond Launceston to the South and George Town to the North.